I lose some all ins with big hands and have to fold an overpair or two during Trikkur 15. I ended up negative in the dollar count, but I believe this was a very successful session regardless. I think micro stakes players can learn two important lessons from this video; how to fold bigger hands and how to properly evaluate a losing session. What newer players must remember is that most big pots will play out the same way regardless of the player’s skill. Think for example AA vs KK all in preflop. There is absolutely nothing the KK player can hope to do differently in order to not get it all in with KK. 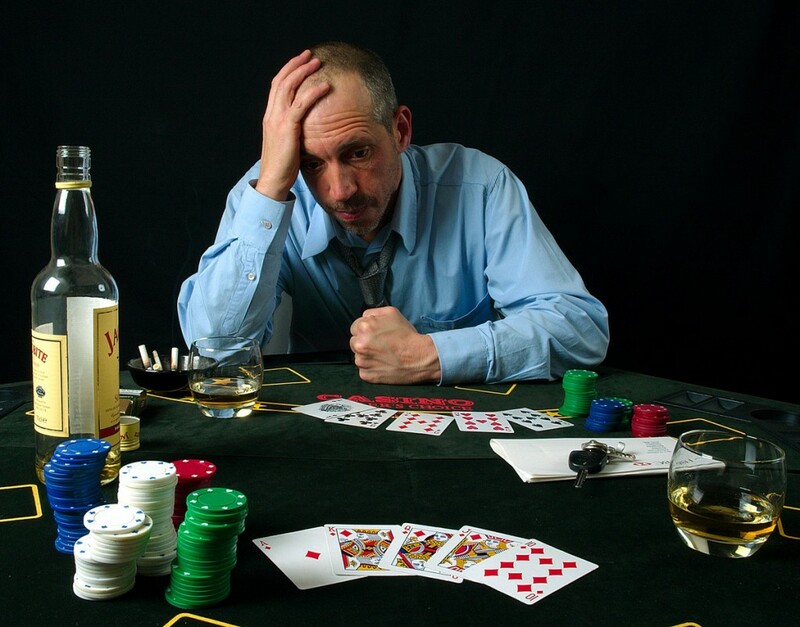 What about those times you call a raise with 33 and the flop comes 369 and when you get it all in only to find your opponent had 99. These hands are called coolers or set up hands. There is nothing you can really do about these hands, but realize that they are going to happen to your opponents just as much as you. We can essentially count these cooler situations as neutral EV in the end. If these hands happen to all players at the same frequency; no one is going to make or lose money in the long run (minus the rake of course). What this means is you should focus on winning extra bets or losing less bets in medium-sized pots. Deciding to pot control or go for extra value with good, but not great hands is going to have a much more drastic effect on your win rate. You can use the training videos on PokerTrikz to help you spot these situations. For example, Trikkur 1 teaches checking for value to win more in these medium pots or Trikkur 8 shows how to use a blocking bet to help keep the pot size small. It is not always going to be an easy realization that a session can be a good one even if you lost money. However, this is a necessary step to becoming a better poker player in the long run. Understanding which hands were coolers that are okay to lose money in versus hands that you just played bad is critical to evaluating your play. You should be spending most of your time focusing on correcting bad play even if you lost only 25% of a buy in as compared to the times that you got it all in with KK preflop and lost to AA. If you enjoyed this video and want to give the poker room a shot, you can sign up for Red Star Poker rakeback directly through PokerTrikz. I have worked with Red Star Poker for more than 5 years now and can offer the best deal available for PokerTrikz members. Every player will receive 36% rakeback, a 250% up to $1500 deposit bonus and entrance into our exclusive rake races. This means you can make a deposit of only $600 and that will unlock the max bonus of $1500 for you to clear. You will also receive 36% of the rake you paid deposited to your account every Thursday as actual cash . Rakeback is a direct payment and not a bonus you have to spend time clearing, which is why it is essentially a paycheck for poker players. I can personally vouch for Red Star Poker as I played there full time to pay my bills for 3 years and have promoted them as an affiliate for almost 5 years now. They have never missed a payment to me and their cash outs were always within a reasonable time frame. My rakeback was automatically paid once a week into my account and it required no work on my part. They also accept players from all over the world including the US, which makes them a great choice for anyone interested. Help support the free content on PokerTrikz and sign up for Red Star Poker today – you will be happy you did.